Here is a simple tray of daily food offerings at a spirit house. 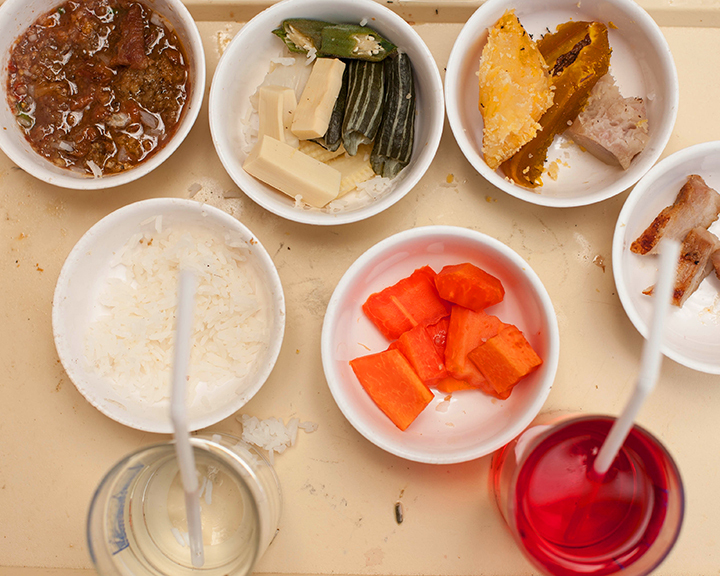 The basic variety of dishes contain: steamed white rice, a pork dish, stirfried tofu with okra, more dried meats, cut papaya, drinking water and red sweet liquid with a straw. Rice has been scattered about by birds.